Brian Braden is a retired military officer and has been a corporate executive, an intelligence officer, a combat helicopter pilot, and a freelance columnist. 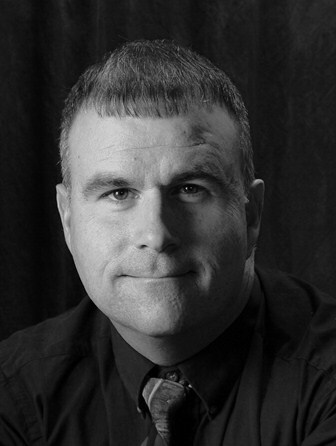 His articles have been featured in a variety of defense magazines and websites. He is also a founder, editor and writer for Underground Book Reviews. 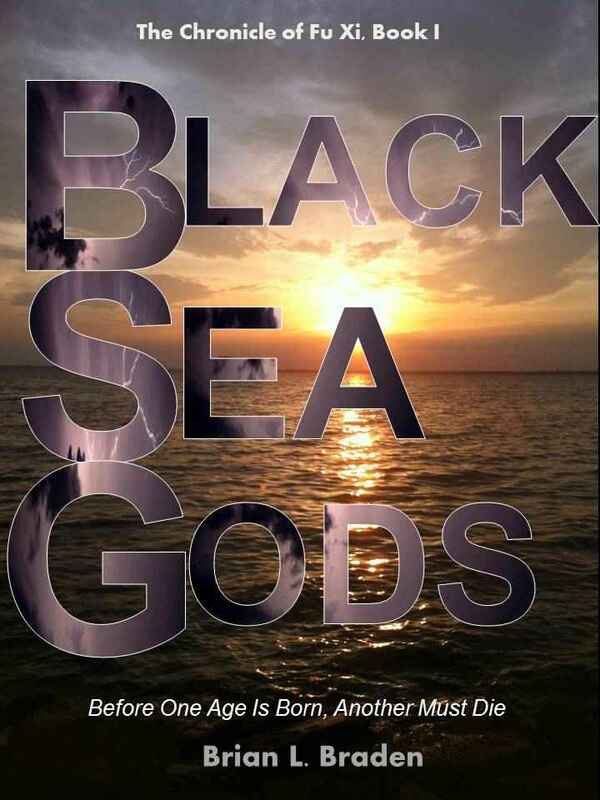 His debut novel, Black Sea Gods, is the first installment of an epic fantasy series. Welcome to Writerly Goodness, Brian! I’m so happy to have you here to celebrate the launch your new book, Black Sea Gods: Chronicle of Fu Xi on February 18, 2013. We first met on Author Salon just over a year ago, in the then-beginning Epic Fantasy group. Since then, your work has changed and grown, and I feel privileged to have been one of your beta-readers. WG: How long have you been writing, Brian? When did the bug first bite, and when did you know that writing was what you wanted to do? WG: I know you’ve written about this many times, but what was the idea that became BSG and where did it come from? BLB: It came from several inspirations, but primarily from a photo of an ancient mummy dug-up in a faraway land. The man’s face was amazingly preserved, as was his clothing. I wanted to know more about this person, but archeologist knew very little about him. I imagined who he was and what his life was like. After a while I decided to write his story, but I needed a cultural mythology to build upon. That’s when I stumbled upon Dr. John Colarusso’s book Nart Sagas From the Caucasus, a compilation of myths almost lost to history. I put the myths to the man and combined it with some related Chinese mythology and BLACK SEA GODS was born. WG: I love process! Can you give my readers any insight into yours over the course of writing BSG? BLB: The short answer: My core process is I start with a climax and a character and build the rest of the story around those two elements. My long answer: I started out on a website called Review Fuse, where other writers could read my chapters as I posted them. Not long after I started posting chapters I began collaborating with Amy Biddle, who was working on her first novel The Atheist Prayer (due out soon by Perfect Edge Books). We joined forces and started critiquing each other’s books one chapter at a time. We soon expanded our circle to two other talented writers – Katie French (The Breeders) and Kimberly Shurshen (Itsy Bitsy Spider and Hush). Over a year, one chapter at a time, we dissected each other work until we had complete novels. I liked this approach because it made each chapter a tighter package. That was phase one. Then I spent another year or so with writers at Author Salon doing deep edits, mostly involving shortening the book and reworking it using a six-act/two goal writing template. Then I sent it to an editor, who was a tremendous help. Finally, I involved beta-readers, most of who came to me from fantasy author Michael Manning’s pool of devoted fans. So, it was a four-stage process spanning almost three years: one-at-a time chapter builds with external critiques from trusted colleagues, deep “whole manuscript” edits from other writers, a professional editor, and finally, beta-readers. WG: What have you learned from writing BSG, and how has it changed you as a writer? BLB: It taught me I can write a novel. Hey, that’s something, right? It taught me to trust my gut and don’t let the idea of become a writer get in the way of being a writer. This past year taught me how to organize my manuscript and how to structure it. WG: When you started writing BSG, you had your eyes on traditional publishing. When did that change and why did you opt for Amazon? BLB: My decision didn’t come all at once, but was influenced by several factors. First, as a writer for Underground Book Reviews I’ve read amazing indie books and saw indie authors build huge readerships. I kept seeing friends, talented authors, succeed in the wild west of indie publication. If they can do it, I can do it. Second, as I’ve learned more about the traditional publishing industry the more I realized how highly unlikely Black Sea Gods was going to be picked up. It’s too far out of what industry professionals are looking for, what they consider “hot,” or “marketable.” The feedback I received from several agents and publishers was they liked the story but didn’t know where BSG would fit in their line. My only real hope would be to warp the story into something more compatible with the current market, and therefore make it something unrecognizable. I wanted to tell the story my way. I’m comfortable with that. I went with Amazon’s Kindle Direct exclusively for the first 90 days to initially keep things simple, take advantage of their marketing leverage, and incorporate a “rolling debut.” In three months I’ll debut on Nook, and then Smashswords, etc. Each debut is a marketing opportunity, a chance to burst fresh on the scene and carry the accolades/reviews from the previous tier forward. WG: I know you started your personal blog in the last year as well. What has your experience in blogging been like and how do you think it will contribute to your success as an author? BLB: Blogging … I haven’t cracked that nut yet. As it stands now, I have very little faith in my personal blog to sustain or launch my writing career. Blogs are jealous creatures, they demand gobs of time and attention in order to love you back just a little bit. I’m afraid I haven’t given my blog enough of that TLC; however, I’ve developed a small, but loyal following and, over the next 90 days, I’ll be offering free copies of BSG from time to time as part of my marketing campaign. The first promotion started yesterday and ran for 24 hours. If there has been one platform that has been good to me it’s Underground Book Reviews. The response to the indie book e-zine has been overwhelming. I would not have been as well positioned as I am now to launch an indie writing career without it. Thanks for a great interview Brian! Brian is a consumate professional! I think he’ll do well. Then again, I’ve read BSG cover to cover. I might be a little biased. Thank you Melanie for an interesting interview. I especially like Brian’s process of starting with a climax and character and building from there. It’s always interesting to hear different methods and it’s encouraging to hear positive stories about Indie books. Thanks, Gemma. It is an interesting method, yes? I always have the end in mind, like a goal to shoot for, but I’ve never tried building back a novel. Something to keep in the ole toolbox, or the back pocket. I like it! I’ve always started with a beginning, middle and end in mind but never worked backwards. Is definitely worth a shot at! Interesting . . . in many ways, his background is much like that of my Dad, except that Dad worked in the Civil Service after he left the military. I like it that he formed his only little mutal-support circle at the very beginning of his fiction career.